If you look at this section of shareholders' equity on the balance sheet, you will normally see an entry for things such as common stock and preferred stock. This doesn't refer to the current market value of the shares outstanding but, rather, these entries reflect the par value of the company's stock. In cases where there is no par value assigned to the stock, it represents the amount investors paid into the firm when the company issued shares. What is par value? 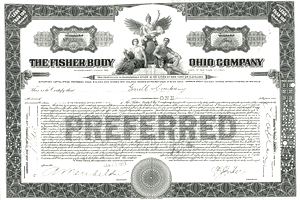 A long time ago, back when modern corporations and other legal entities were in their relative infancy and superior innovations such as the limited liability company were not even a twinkle in the eye of the capitalist class, par value was originally created as a way to protect creditors and shareholders by providing a cushion of assets that could not be damaged or impaired. In time, it proved to be completely unsuccessful at protecting either party. This is important because companies would take the total shares outstanding, multiply them by the par value, and put them on the balance sheet as "paid in capital". Eventually, state governments no longer required companies to establish a par value on their stock. In cases where no par exists, a corporation must put the amount raised when the company issued stock. If the same business had 100,000 shares and no par, but it initially sold stock at $25 per share, it would put $2,500,000 under the common stock section of shareholder equity on the balance sheet. If a company still sets a par value on its stock, often a token or nominal amount, and the share price at issuance is higher than the par value, which is always going with virtually no exceptions during the modern era, the surplus over par gets put into a category called "paid in capital in excess of par value". That is, to provide a simplified illustration, if a company issued stock for $10 and had $1 in par value, $1 would go on the par value line and $9 would go on the paid capital in excess of par value line so the entire $10 still ended up in shareholders' equity. The transaction would be offset with the $10 that was raised getting put into cash. On most balance sheets, there is a list of such entries. They consist of all of the capital that has been paid in by shareholders who have purchased either the common stock, preferred stock, warrants, and other securities. Things are considerably more complex when dealing with acquiring membership units or partnership units of pass-through entities such as limited partnerships, which creates all sorts of tax headaches unless there are allocation agreements to deal with it. As an interesting aside for those of you who are investing buffs or love business history, there is another concept that, outside of the private equity world, has largely fallen by the wayside. When you buy common stock these days, you'll almost always be acquiring shares that are "fully paid and non-assessable". What that means is that you can't lose more than the amount you invest as long as you weren't foolish enough to buy on margin or sell short without some sort of offsetting coverage - the last thing you want is to end up like this poor man. If the firm goes bankrupt and your stock goes to zero, that's it. Game over. In the past, assessable stock was a way to protect a business and guarantee a stable source of funding. What it meant was that the company's board of directors could require shareholders to contribute additional capital, up to a certain amount, after voting upon it. This could save the firm from bankruptcy, allow it to take advantage of attractive opportunities, or build reserves in the event of some sort of disaster. You'd get a notification and have to write a check, perhaps even a significant check that puts hardship on you.